Discussion in 'Fixed Blades' started by dancom, May 18, 2018. 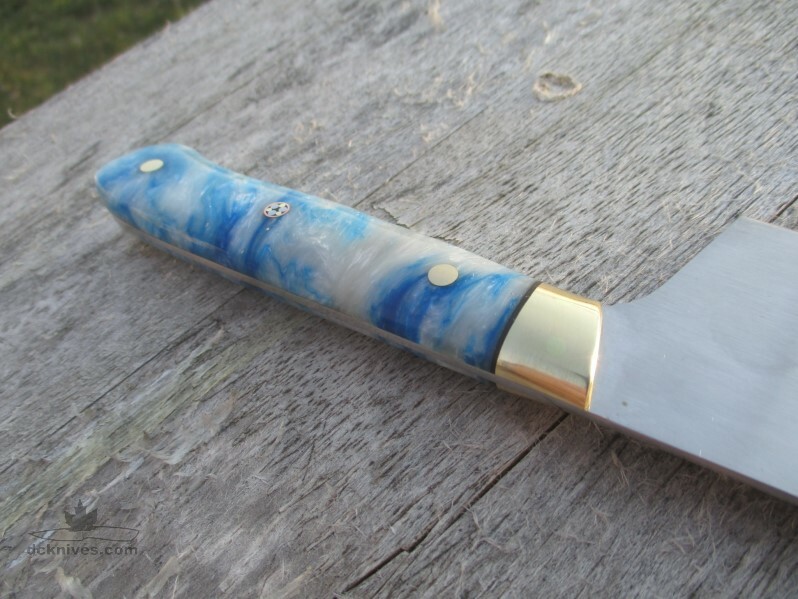 AEB-L in Blue and White Acrylester #36 with brass bolster and black fibre spacers. Balance point is under the middle finger in the pinch grip. I took this down to 0.015" before applying a 17° secondary. Cuts like a dream. Thanks for looking. Have a super long weekend guys! parker, jonliss and Griff like this. That's one good looking blade. 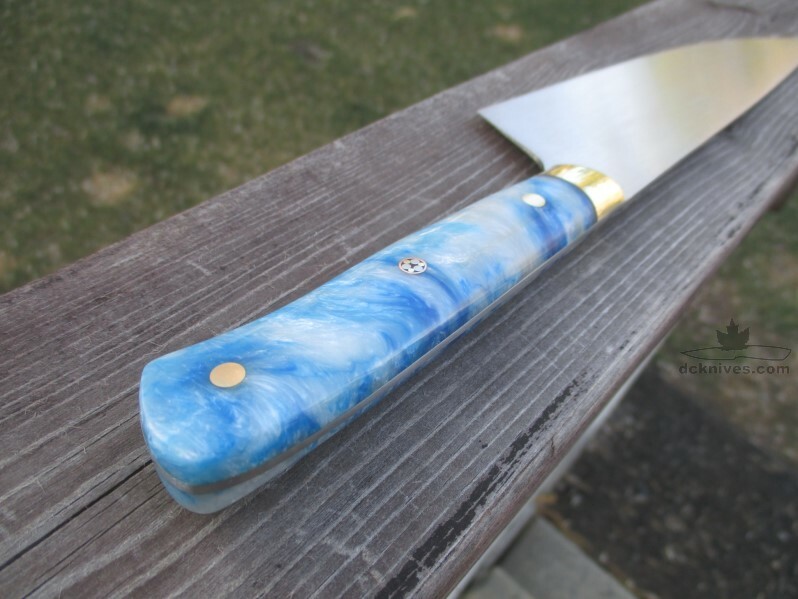 Sweet knife.. Nice blue in the handle too. I'm sure you've posted this before but how did you finish the blade (what progression/ where did you stop)? I love that finish. Hi Todd. Thanks. The blade is finished with a fine conditioning belt on the 12" wheel working the lenght of the blade. So normal hand sanding and then the conditioning belt. How far do you go - to what grit? Do you have any room to cheat because you're using the conditioning belt afterwards or is it basically the same process - sand it all nice and pretty and then the cond. belt. I have a medium and fine belt i believe but never really used them much. I was always so focussed on improving my hand sanding that i never really thought about conditioning belts. NO FRIGGIN" WAY!!! You mean, i've been destroying my arthritic fingers all this time grasping tiny pieces of sandpaper for nothing? I shoulda asked you months ago!! I have to try this now.